This serum is a little too good to be true: it’s our natural alternative to Botox and it really works. This advanced formula interrupts the communication between the muscle and the brain so the muscle has to relax. It can even be used in conjunction with Botox to prolong the results. Our environment is full of toxins, and a lot of it is absorbed into our skin. Like a good strong cup of green tea, this booster is full of powerful antioxidants to wake up, revitalize, and detoxify your skin. Exotic natural Kakadu plum from the Australian rainforest helps fight free radicals and improve the appearance of dark circles and puffiness. 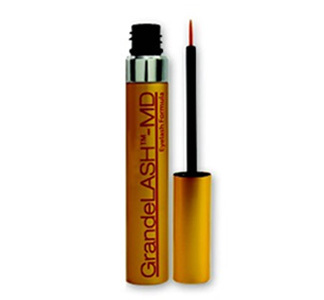 Pila’s Tip: You can also rub this serum into parenthesis lines around your mouth for age-defying results. This professional strength serum with botanical peptides directly targets the appearance of expression lines and wrinkles. It instantly reduces visible signs of premature skin ageing. Results accumulate with continued use. • Apply twice daily to all areas where expression lines and wrinkles are a concern. 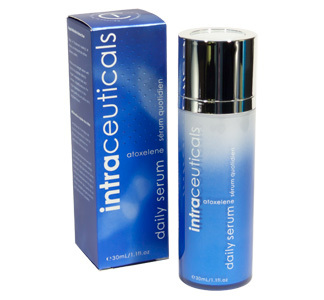 • For maximum benefits use as a targeted enhancement to Intraceuticals’ 3 Step Hyaluronic Layering. 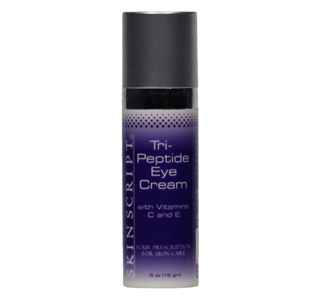 • Acetyl Octapeptide-3 – Provides a tightening effect on the skin surface. It targets the visible appearance of expression lines to soften the visible effects of facial muscle contractions. • Hydrolyzed Hibiscus Esculentus Extract – is a plant derived skin tightening agent. It draws moisture and carries ingredients to the skin to improve hydration and skin volume. • Low Weight Hyaluronics – are plant derived, low molecular weight carrier system. They draw moisture and carries ingredients to the skin. They improve hydration and increase skin volume. Water (Aqua), Squalane, Ethoxydiglycol, Ceteareth-20, Acetyl Octapeptide-3, Hydrolyzed Hibiscus Esculentus Extract, Hyaluronic Acid, Dextran Sulfate, Sodium Hyaluronate, Serum Albumin, Dextrin, 1,2-Hexanediol, Panthenol, Caprylyl Glycol, Carbomer, Triethanolamine, Disodium EDTA.